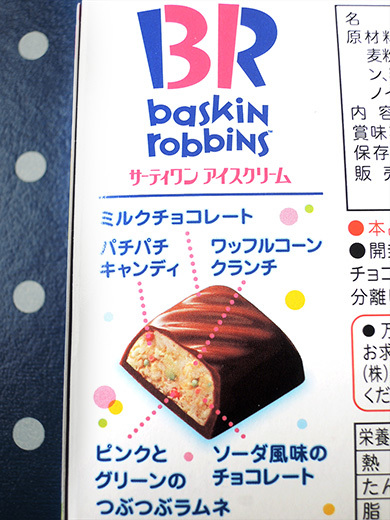 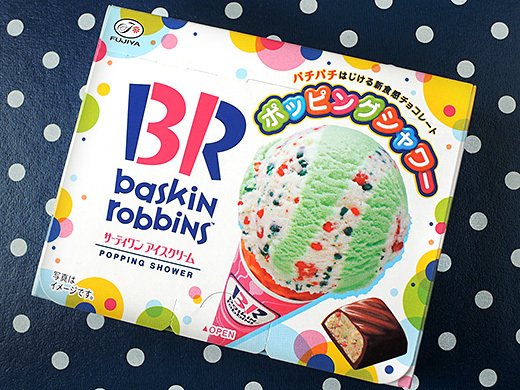 Baskin Robbins’ popular flavor, “popping shower” fun and yum ice cream scoop turns into chocolate candy box. 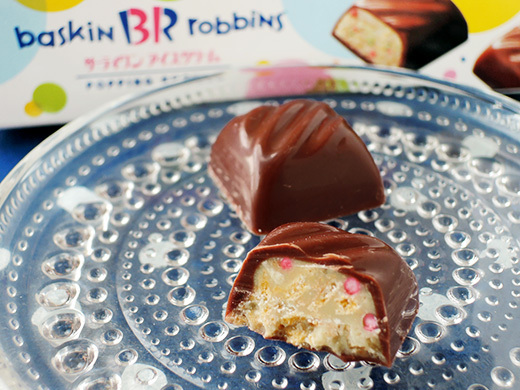 Crashed popping candy bits, ice cream corn inspired waffle corn crunches, tiny pink & green fizzing candies are in milk chocolate covered soda pop flavored white chocolate. 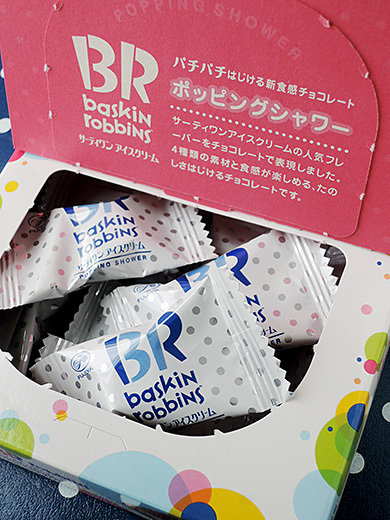 It was weird and fun experience the chocolate candy pops!